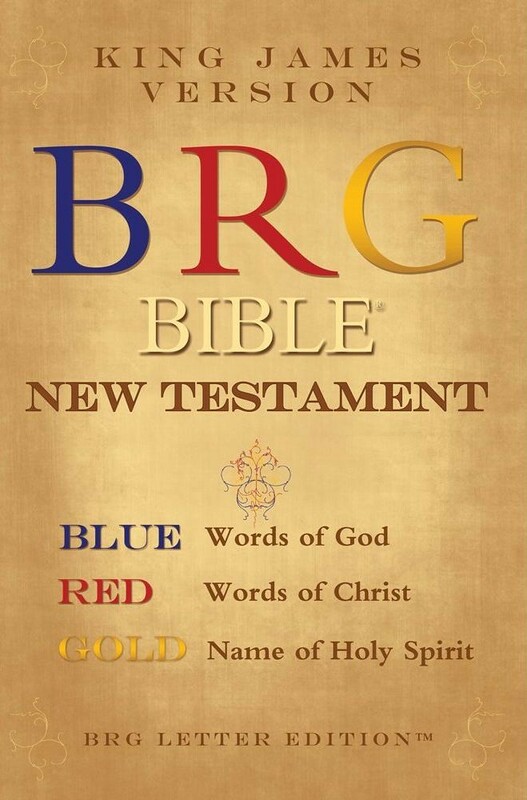 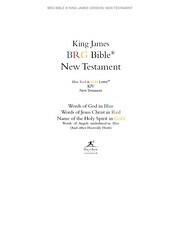 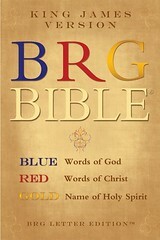 The BRG Bible was produced by BRG Bible Ministries. 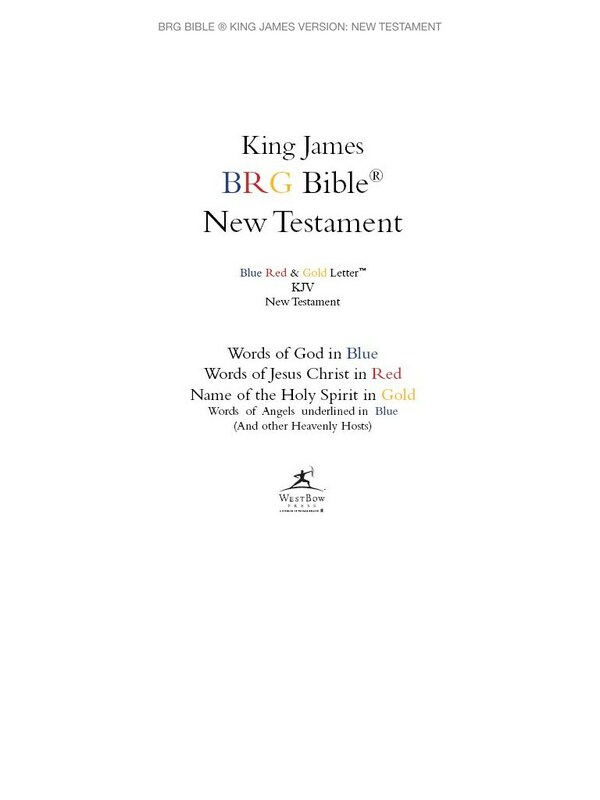 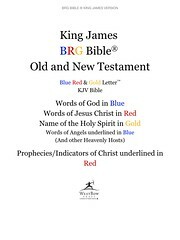 The words of God are in blue, the words of Jesus are in red; the Holy Spirit is in gold. 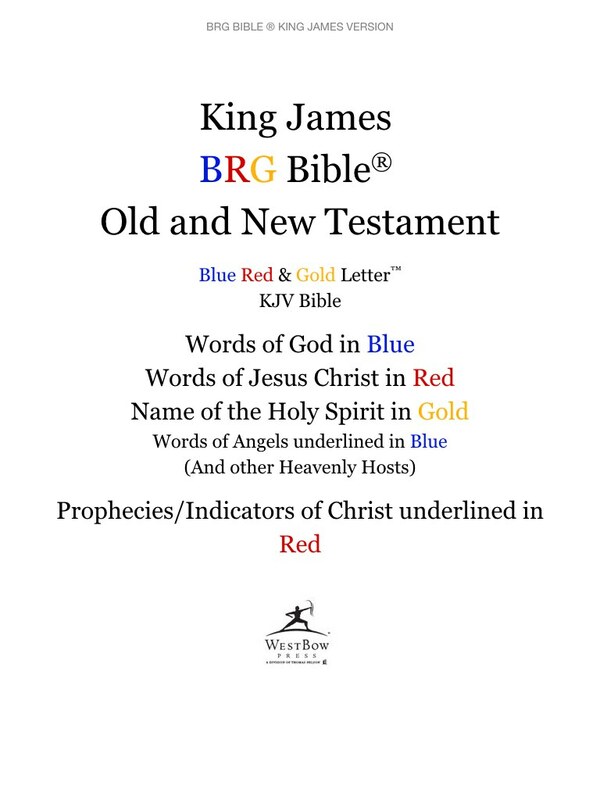 Words spoken by angels and other beings are underlined in blue and Old Testament Messianic prophecies are underlined in red. 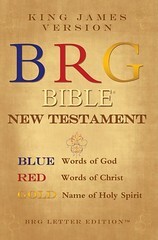 More information can be found at their website at http://brgbible.com. 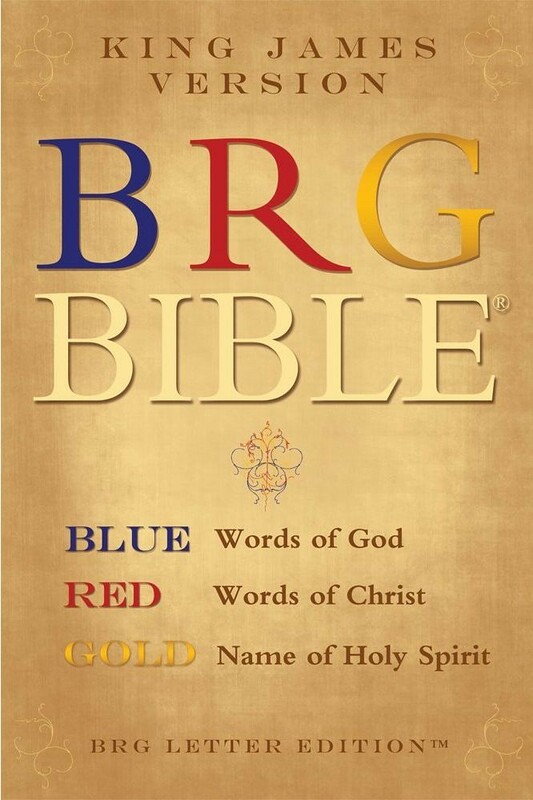 Comments: It is only available as an ebook; this is the Amazon Kindle edition.